The Colonial Innkeeper's Lamp with Shade brings the timeless touch of years gone by to life. A beautiful addition to any room. Imported. Smokey Black finish. 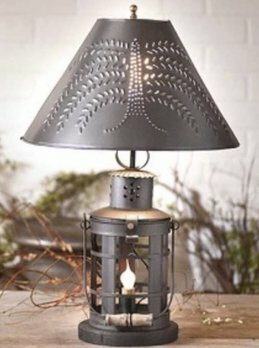 A perfect Punched Tin shade and candelabra base.